Our staff organizes discussions, projects and research focused on security, privacy, free speech and other areas where government, civil society and industry can work together on the tech policies that will shape our future. Jules Polonetsky serves as CEO of the Future of Privacy Forum, a non-profit organization that serves as a catalyst for privacy leadership and scholarship, advancing principled data practices in support of emerging technologies. FPF is supported by the chief privacy officers of more than 130 leading companies, several foundations, as well as by an advisory board comprised of the country’s leading academics and advocates. FPF’s current projects focus on Big Data, Mobile, Location, Apps, the Internet of Things, Wearables, De-Identification, Connected Cars and Student Privacy. Jules has served on the boards of a number of privacy and consumer protection organizations including TRUSTe, the International Association of Privacy Professionals, and the Network Advertising Initiative. From 2011-2012, Jules served on the Department of Homeland Security Data Privacy and Integrity Advisory Committee. Jules is a member of The George Washington University Law School Privacy and Security Advisory Council. Jules is a regular speaker at privacy and technology events and has testified or presented before Congressional committees and the Federal Trade Commission. Jules is co-editor of an upcoming book, The Cambridge Handbook of Consumer Privacy, to be published by Cambridge University Press (2018). More of his writing and research can be found on Google Scholar and SSRN. Click here to view Jules’ full bio. Click here to download Jules’ headshot. 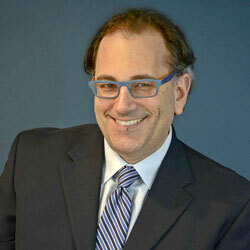 Omer Tene is Vice President of Research and Education at the International Association of Privacy Professionals. He is Affiliate Scholar at the Stanford Center for Internet and Society and Senior Fellow at the Future of Privacy Forum. He is an Associate Professor at the College of Management School of Law (on leave of absence). Together with Jules Polonetsky, he co-founded the Israel Technology Policy Institute. Limor Shmerling Magazanik is the Managing Director of the Israel Tech Policy Institute. In this role, Limor provides leadership on day-to-day operational matters of ITPI, including directing ITPI’s policy agenda; engaging policymakers, regulators, academics, and business leaders; convening multi stakeholder groups for discussion; and overseeing communications with the public and the advisory board. Limor comes to ITPI after a decade with the Privacy Protection Authority, serving most recently as Director of Strategic Alliances and previously as Director of Licensing & Inspection. She led policy initiatives and regulation in technology driven sectors and promoted compliance with data protection, privacy, cybersecurity and digital identity regulation. She is an adjunct lecturer at the Hebrew University Faculty of Law and the IDC Herzlia School of Law, has LL.B., MA and LL.M. degrees from Tel Aviv University and is a CIPP/E, CIPP/US, CIPM.